Support Food Sovereignty and End Poverty by Giving Fair Trade for the Holidays! …Give Nikki McClure Art, and support a local artist! …Give Fair Trade gifts from Ten Thousand Villages, and support local artisans everywhere (includes some great gifts for kids)! …Give to the Library of a Kenyan agricultural college and plant the seeds for the future of sustainable farming practices in Africa! 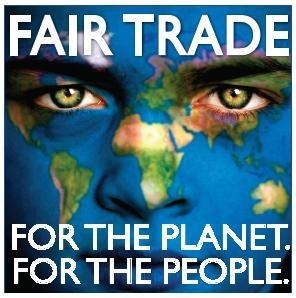 …Give Fair Trade food, and support local farmers everywhere with chocolate, coffee, and tea! …Give “Our Food Our Right” & CAGJ T-shirts, and spread the message to inspire a Food Justice Revolution! Thank you for supporting CAGJ!